As the alphabet is the first audiovisual recording system we are dedicating our program from october till december to the tight and beautiful relation of Type & Sound. A lot has been written and published in the last years about the crosslink relationship between the audio and the visual. The movement of VJs, Graphic- and Motion Designers that no longer just stick to their profession as visual artists but see their design role directly linked to space and sound. The design process of music and visual art in the digital age is becoming an unified approach and results in new inspirations for both disciplines. 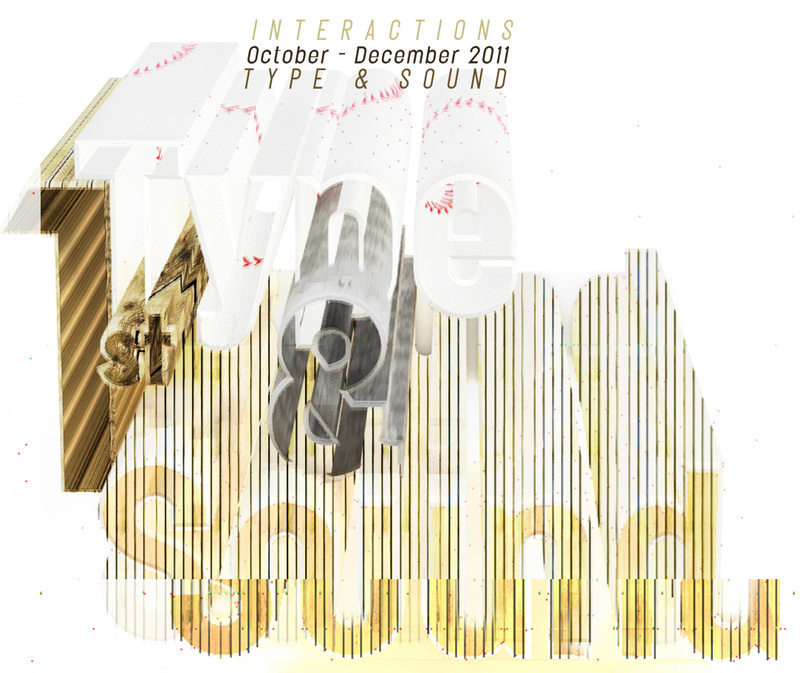 With ‘Type & Sound’ we will feature three outstanding typographic projects of information architecture, instrument design and visualmusic that gently flatter a combination of applied audiovisual typography. Surprise, surprise! Let’s go. Digging in the Crates is an interactive installation which offers possibilities to explore Sampling as a production technology of modern music. While dynamic data visualizations will be navigated using modified turntables, information graphics as well as auditory contributions helping to understand complex contents and relations. The artist in person will be there! Musically accompanied by Michael Titze from the GlitchHappens Crew in Augsburg, who turns the tables later that night. The installation will be shown till mid of november in our showroom.